Intercity Lines provides the highest standard of safety and security in the enclosed auto transport industry. We have been perfecting the transport of cars and motorcycles since 1980 and offer door to door, coast to coast enclosed auto transport services. We are a carrier, not a broker and have a fleet of expert drivers and top of the line equipment to ensure your car has the safest and most secure journey possible. Our experienced staff and drivers make shipping a car easy whether it’s your first time buying a car at an auction or an auto manufacturer trying to meet an end of quarter deadline. 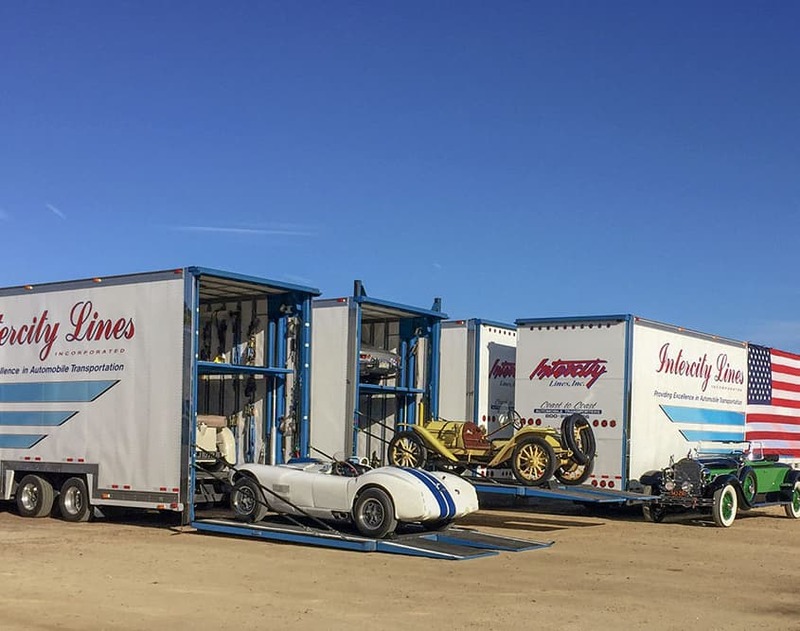 Our enclosed auto transport trailers all have liftgates for easy loading and unloading along with articulating decks and full security from the outside making shipping an exotic car or a classic car easy. 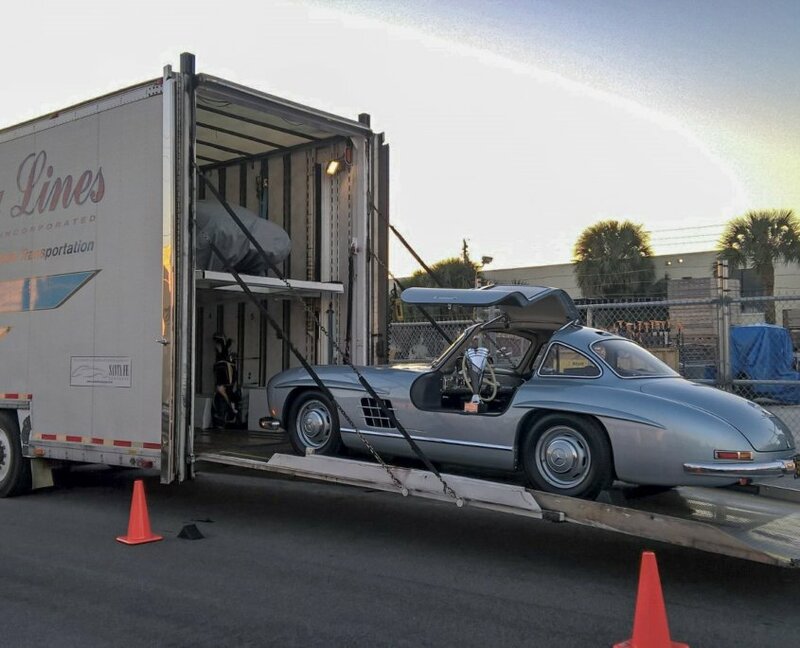 We work with some of the best customers whether they are shipping their car to Florida, buying a car at an auction, or rolling out a new car model, and we look forward to helping you ship your car! Shipping a car that you bought or sold: We work with buyers and sellers of vehicles regularly to help ensure the sale goes smoothly. Outside of taking care of the auto transport and keeping all parties up to date, we can also provide final payment for the vehicle for an additional charge. New England Express: We offer on-demand picks ups and deliveries throughout New England with our 3 Enclosed Car Trailer that provides expedited door to door service. Car Auctions: Intercity Lines can provide transport services to and from the country’s largest car auctions for the cosigner or buyer. We are the official transporter for Gooding and Company and offer enclosed auto transport services to and from most major auto auctions. Airport pickups and delivery: Intercity Lines can provide on-time pickups and deliveries to airports across the nation. Corporate Auto Transport: Intercity Lines gives special consideration for museums, dealers, and manufacturers. We also provide a fully customizable technology package including edi integration, on-demand tracking, and custom shipping portals to keep you informed on all of your car shipments. Click below to hear from our Driver Stevie B! Why choose Intercity Lines for your auto transport needs? We are an auto transport company you can trust! David and Linda Wilson founded Intercity Lines enclosed auto transport in 1980. They run the company to this day with the help of their son Dean. The Wilsons have set the standard for enclosed auto transport since the beginning. We are an auto transport Carrier, not a Broker! Top of the line auto transport equipment! 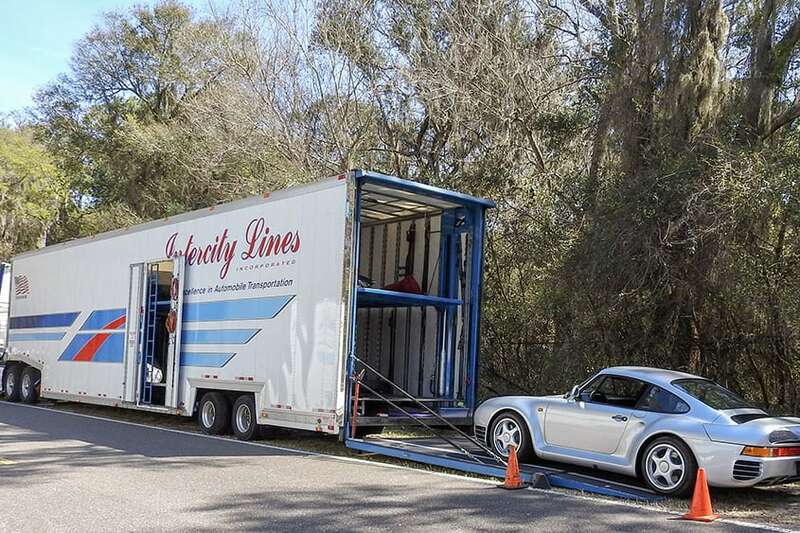 Intercity Lines only uses fully enclosed auto transport trailers to ship customer vehicles. All of our fully enclosed trailers are hard-sided and liftgate loaded. 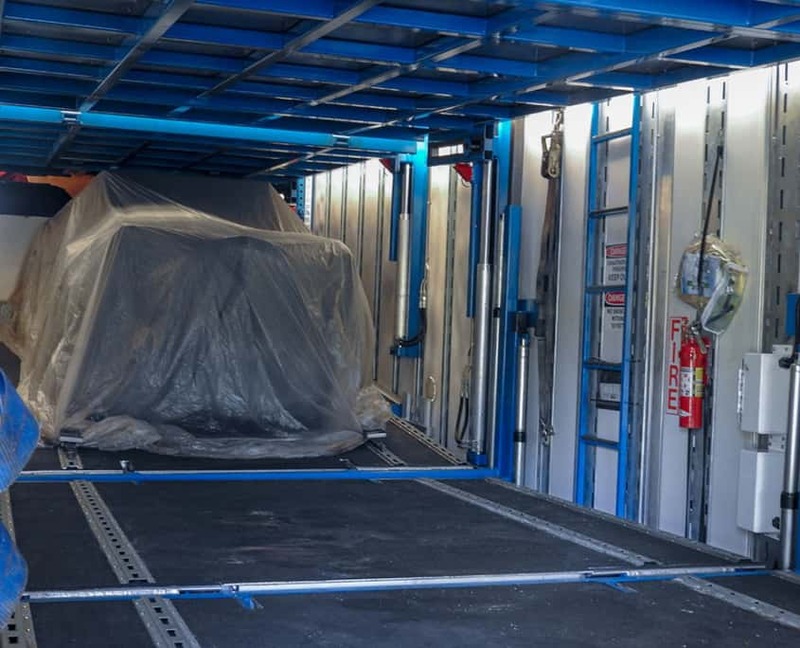 Each car carrier is equipped with air ride suspension, E-track flooring, and advanced interior articulating ramps. Each Intercity Lines enclosed auto transport trailer have a 10,000-pound hydraulic lift gate. 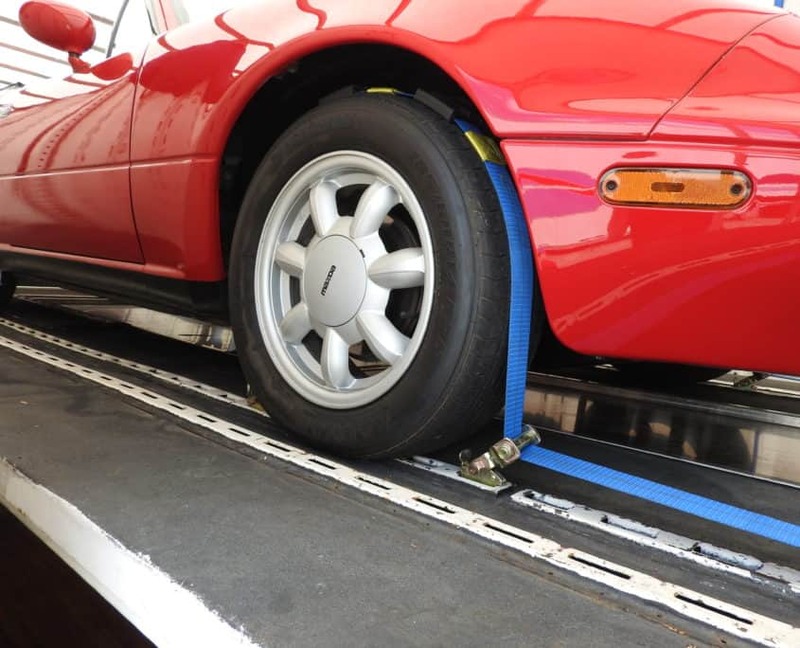 These lift gates ensure your car is always level from loading to unloading, which prevents strain on the car’s drive train and suspension system. It also allows for safe loading and unloading of a vehicle with low ground clearance. $2 Million Cargo Insurance protects your vehicle throughout its entire journey, so you never have to worry! Nylon Wheel Tie Downs – Not Chains! Intercity Lines only uses nylon wheel tie downs to secure vehicles. These go over the rubber of the tire, and our drivers check these straps multiple times a day to ensure your car is safe and secure. Many companies use chains that can cause damage to the vehicle you’re shipping whether it’s a chain chipping the paint or the driver securing the chains to tight, so the frame or chassis bends. Intercity Lines never secures vehicles using chains. Using nylon wheel tie downs is the best way to secure a car and the only way Intercity Lines secures vehicles for transport. We track your car from pick up to delivery! Our onboard Qualcomm Omnitrac Satellite Tracking System tracks each vehicle throughout its journey, so we always know the exact location of your car. Our office will happily provide location updates upon request when shipping a car. We offer 24/7 tracking to car manufacturers upon request to help to make their logistically planning and wholesaling easier. 2 Layers of protection protect each car throughout its journey! We keep your interior clean! Seat Covers and Floor Mats are placed in your vehicle to keep the interior clean! 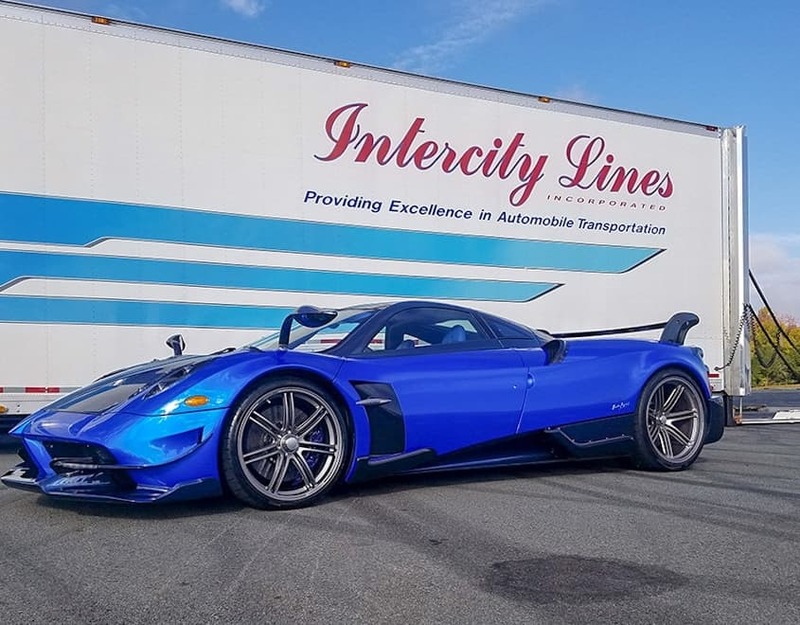 Intercity Lines are experts in enclosed auto transportation and have helped thousands of happy customers ship their vehicles across the country. We are family owned and take pride in every car we ship. Our team understands the importance these vehicles can have to our clients and we treat them like they were our own. We take all the steps to make it easy and stress-free for you to ship your car and can assure the safe and secure transport of your vehicle.